It is time to wax the boards, sharpen those edges, and buy those season passes because snowboarding season is right around the corner. Many students at the school are excited for this time of year because its hard to hit the slopes when one is located a few hours away from the mountains. The most common spot to go for anyone who lives in South Jersey is the Pocono Mountains. Personally I like Blue Mountain ski resort because it is the closest mountain, and it has the nicest trails. “Camelback Mountain is my favorite because it offers the most variety and the cafe has the best food,” said senior Shane Guyer. Drew Slater, on the other hand, prefers Elk Mountain. “Elk Mountain is the best mountain because the snow is always perfect and the ski lifts are very comfortable,” he said. Along with favorite places to go, people have their favorite brands. 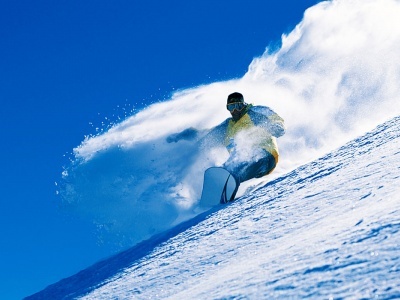 Snowboarding and skiing requires certain dress attire like pants, a jacket, goggles, boots, and any other accessories that a person likes to have. Burton is a well-known brand and sold at many ski shops and sporting goods stores. Some students, like senior Gary Scola, is committed to his brand. “My favorite brand is Burton, and I will never buy anything else,” he said. Some people like variety with everything they do. Brands were never really a big deal to me, as long as I am on a mountain with my friends I am happy. I like trying out all the different mountains instead of just sticking to one because I like to experience different trails. Snowboarding is a way to take a person’s mind off of the everyday life and just enjoy the mountains and nature.